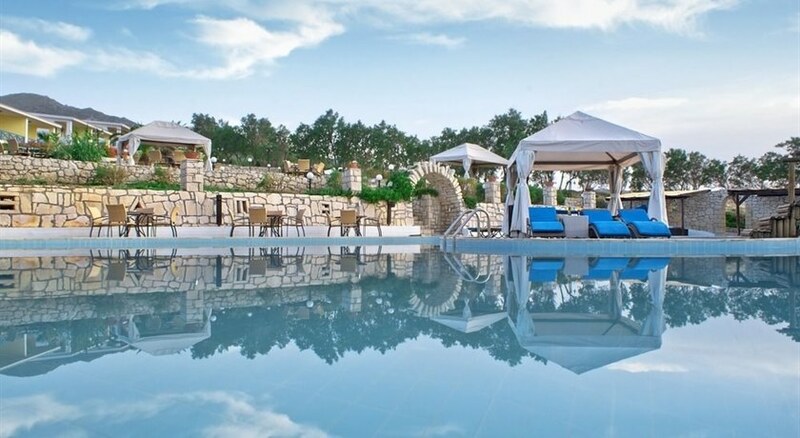 The hotel is situated in the village of Agia Fotia- with restaurants just 1 km away- and around 5 km from the city of Sitia with its many shops and bars- making it the perfect place to relax in quiet surroundings. 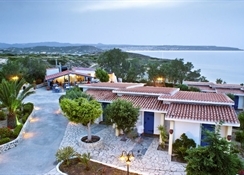 The location offers magnificent sunsets and sunrises and a view of the whole Gulf of Sitia. The archaeological sites of Petras and Itanos are 3.5 km and 16 km away- respectively- the Venetian fortress of Kazarma is 6 km away- and Rihtis Canyon is 20 km away. 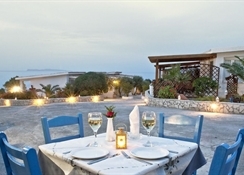 Ierapetra is 50 minutes' drive from the hotel and Heraklion Airport is around 130 km away.The family-friendly eco hotel incorporates Cretan traditions and warm hospitality. 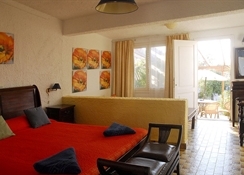 Guests can enjoy a unique combination of high quality services in a friendly- comfortable and modern environment. The air-conditioned club resort offers 28 guest rooms in total and welcomes guests in a lobby with 24-hour reception and check-out service- and a hotel safe for valuables. There is also a TV lounge- children's playground- café- bar and restaurant. Guests may take advantage of the wireless Internet access- room service and a car park.Each room contains individually regulated air conditioning and heating- an en suite bathroom with shower and hairdryer- a double bed and a private balcony or terrace. Other in-room amenities include satellite TV- a minibar- safe- direct dial telephone- and tea and coffee making facilities.There is a saltwater outdoor swimming pool and a poolside snack bar- whilst sun loungers and parasols are laid out ready for use. Guests may also enjoy a game of volleyball. There is a nearby pebble/rocky beach.A breakfast buffet is served each morning and à la carte options are available for lunch and dinner.